Most of our Grooms feel concerned about the all important toast. Compiling the right words and remembering not to forget anyone can be a daunting task. We have a facility at Rew Hotels, where we can assist you in the choosing the right words to get across in the best way, what you want to say. Our staff at the hotel will make sure that all your guests have a drink at the right moment to toast you and your partner. Rew Hotels work closely with many of the finest Champagne Houses. Whether it may be Dom Perignon, Moet et Chandon or Veuve Cliquot to name but a few. 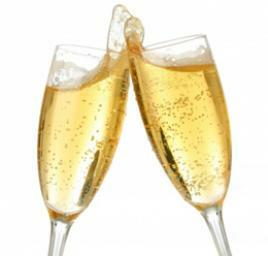 We can also provide some of the finest Sparkling Wines or Cavas to suit your budget.